If Moses existed he would be arguably one of history’s most influential figures - the founder of the great monotheistic religions of the modern world. However, many historians doubt the reality of the Exodus story and even question the existence of Moses himself. 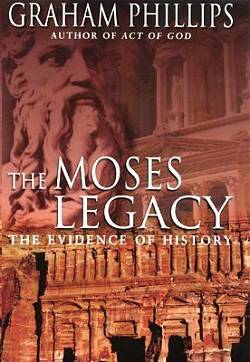 In The Moses Legacy, Graham Phillips takes the reader on an exiting journey into biblical times, using the latest archaeological evidence as well as a new reading of the Old Testament to recreate early Hebrew history. He not only shows that much of the Exodus story can be corroborated, from the flight from Egypt to the conquest of Canaan, but that Moses had indeed existed. The summit of Jebel Musa in eastern Egypt. 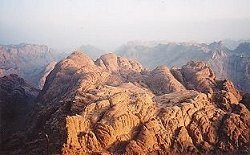 Since Roman times, Jebel Musa has also been called Mount Sinai. There is, however, no biblical or historical evidence that this was ever the ancient Israelites’ Mountain of God. The ancient sanctuary on Jebel Madhbah. Is this the place where Moses received the Ten Commandments? Graham proposes that Moses had in fact been two separate historical figures who later became confused as one. The first, the man who originally converted the Israelites to monotheism, was a dissident court official named Tuthmosis who was banished from Egypt around 1460 BC, and the second, the man who confronted the pharaoh and led the Israelites out of captivity, was an exiled prince, also called Tuthmosis, who lived around a century later. The word Moses, meaning "the son", Graham suggests, was a shortening of this name. Having identified the historical figures behind the Moses story, Graham then leads the reader on a fascinating quest to discover the very place the Hebrew religion originated. According to the Bible, Moses first discovered God on Mount Sinai when he spoke to him from a burning bush. Also called the Mountain of God, it was here that God gave Moses the Ten Commandments, revealed the holy laws and instructed him to make the Ark of the Covenant. It was here too that God infused Moses’ staff with the power to bring down the plagues of hail and fire, turn day to night, the Nile to blood, and part the Red Sea. Although, since Roman times, legend has identified Mount Sinai as Jebel Musa in eastern Egypt, the Bible itself does not directly say where it is. In modern times, biblical scholars have fiercely debated its true location, while historians have doubted that such a place ever really existed. Now, by cross-referencing various accounts of the Exodus story given in different books of the Old Testament, and comparing them with the latest archaeological discoveries from the Middle East, Graham Phillips goes in search of the real Mountain of God. According to the book of Exodus, when the Israelites arrive at the Mountain of God Moses uses his sacred staff to create a miraculous spring. The Book of Numbers describes this same event but reveals its location as being at Kadesh, today identified as a mountainous pass on the boarders of the kingdom of Edom in southern Jordan. 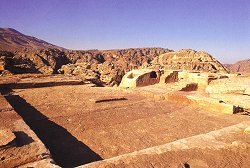 Now surrounded by the later ruins of the Nabatean city of Petra, a Bedouin shrine still marks the spot where local tradition has long held that the event occurred. Above it, rises Jebel Madhbah, a mountain that precisely matches the descriptions of Mount Sinai given in the Bible. Here, a team of British and Jordanian archaeologists has recently excavated the remains of an ancient Hebrew sanctuary dating from the very time Moses is thought to have lived. Remarkably, in the nineteenth century a tomb was discovered there that may actually have been the final resting place of one of the historical Moses figures. 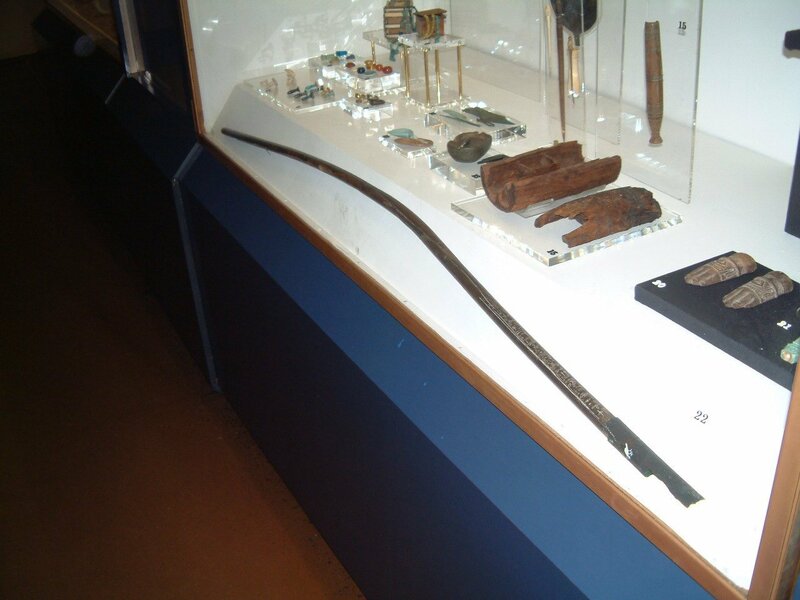 Inside, along with other artifacts, was a 3500-year-old staff inscribed with hieroglyphics identifying its owner as the court official Tuthmosis, the very man Graham identified as the first Moses. He believes that it was the second Moses who was buried in the tomb, the staff having been inherited by him when he became the leader of the Israelites. 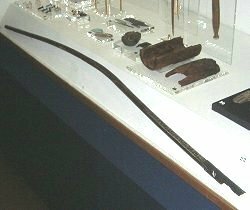 The staff is now in the Egyptian gallery of the Birmingham Museum in England and, after careful research, Graham is certain it is the actual staff that the Bible asserts Moses used to perform the miracles of the Exodus. US Edition: The US edition of The Moses Legacy is published by Ulysses Press (2003) under the title 12 Tribes, 10 Plagues and the 2 Men who were Moses. UK and Commonwealth editions:HB Sidgwick & Jackson 2002, PB Pan 2003. Click on image to order US edition. Translations:Sperling & Kupfer (Italian), Tirion (Dutch), Xepmec (Bulgarian).